Give Me My Remote readers sent in their top nominations for more than 20 different categories and now it’s time for you to choose your top pick! Most of the categories have five nominees, but due to ties, the number can vary. Whether these men are crime-fighters who are romantically tangled with their partners, a quasi-tortured vamp, a cranky genius doctor, or a man whose love for his son accidentally broke two universes, GMMR readers have quite the choice for "Favorite Actor (Drama)." Want to make sure your pick takes the top spot? Tweet it! Tumble it! Facebook it! Hell even Google+ it… “I just voted for [your favorite actor here] as Favorite Actor (Drama) in the GMMR TV Awards: http://bit.ly/Mon40H Vote now!” and we’ll retweet/reblog some of the replies that amuse us the most from @GiveMeMyRemote and our Tumblr account. Voting ends Friday, June 29th at 5 PM PT, so happy voting! Whoo whoo… Booth all the way! All are very good actors, but John Noble with all of his charismatic talent, gave that wonderful personality to our beloved Walter Bishop of Fringe. My vote goes to him in any poll! As per usual, Joshua Jackson gets no love from any media sites. Only 13 episodes left and josh will no longer be in John and Anna’s shadows. Good riddance. Nathan Fillion, bien sûr. Un rôle sur mesure ! I love Paul Wesley, but John Noble! John Noble, by far. The man played more than 3 versions of the same character! Booth is brilliant. Such a pleasure to watch him in action. Damn! Hugh Laurie, David Boreanaz, Nathan Fillion and Paul Wesley are all amazing actors! 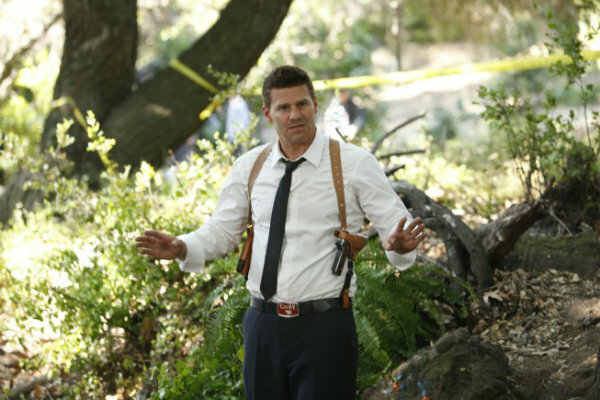 David Boreanaz is awesome as Booth. Like Emily Deschanel, David Boreanaz is such a good actor but is underrated. Obviously Nathan Fillion because his character is so sweet, loyal, funny, brilliant and… smart&handsome! Has to be David Boreanaz as Booth. Hot or what? ?